Hi, this cad is for Case this sketch challenge, firstly I want to make some floral card than I decided to make something super funny. So I took great stamp set from Hero Arts and I made funny card with birthday birds. It quite clean and simple card but funny and original. Sequins are from Lawn Fawn, birds are coloured with Copics. 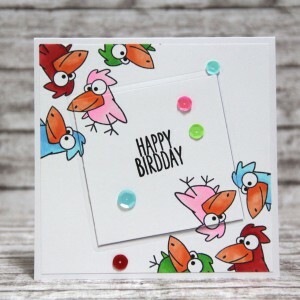 This entry was posted in Challenge and tagged cardmaking, Challenge, Copic, Hero Arts. For Casology challenge I decided to make card for my friend. I used very old stamp set of Hero Arts and heart stencil which I designed. 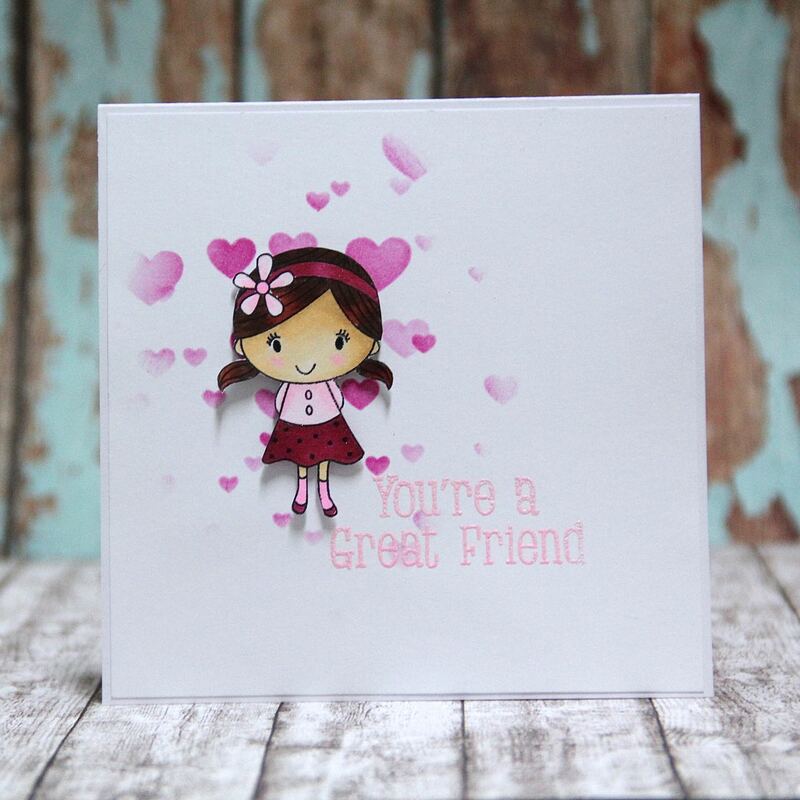 I made light background with Distress ink – picked raspberry, sentiment is also from that set and I heat embossed it with Zing pink embossing ink. Girl is stamped with Memento ink and coloured with Copics. This entry was posted in Challenge and tagged cardmaking, Challenge, Copic, Distress ink, Hero Arts, stencil. I really like sketch for Case this sketch #91. 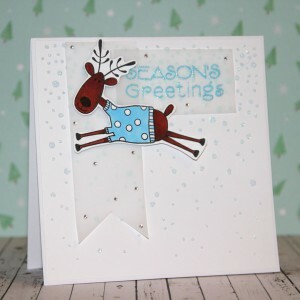 There are Christmas soon (for card makers :D) so I made xmass card with my favourite reindeer stamp from Hero arts. Background is made with stencil, structure paste from Nerchau, glitters from Silhouette America. 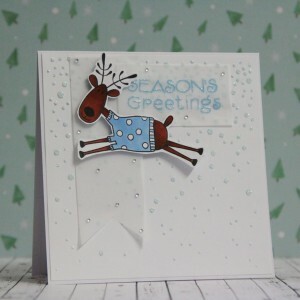 Reindeer is stamped with Memento tuxedo black, coloured with Copics and with scissors cut. Banners are from vellum. Sentiment is stamped with blue Color box ink and heat embossed with sparkle clear embossing powder. For finished touch I added some micro self adhesive gemstones. This entry was posted in Challenge and tagged cardmaking, Challenge, Copic, Hero Arts, stencil. Under that is cue word for current Casology week. It is funny I am Czech so I had to learn English and when we were learning prepositions the mostly used was UNDER THE TREE So with word under I have connected my grammar school studies. 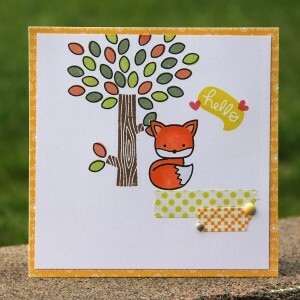 For my card I used Lawn Fawn – Into the wood stamp set and I built whole card just with stamps. For balance I add two small stripes of washi tape. Leaves are stamped with three different colours of Hero arts ink. Fox is coloured with Copics. I hope you will like my card. 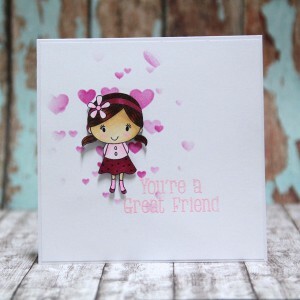 This entry was posted in Challenge and tagged cardmaking, Challenge, Copic, Hero Arts, Lawn fawn. 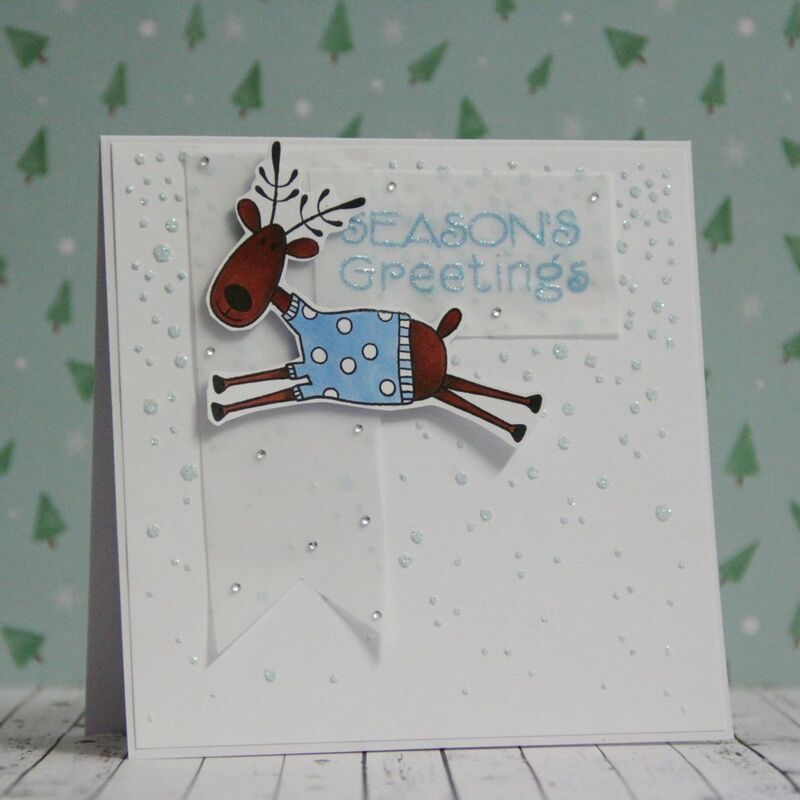 For Case study challenge #207 I made simple card with Lawn fawn stamps. I really like that stamps, you can build any background. I used some Hero arts ink pads. 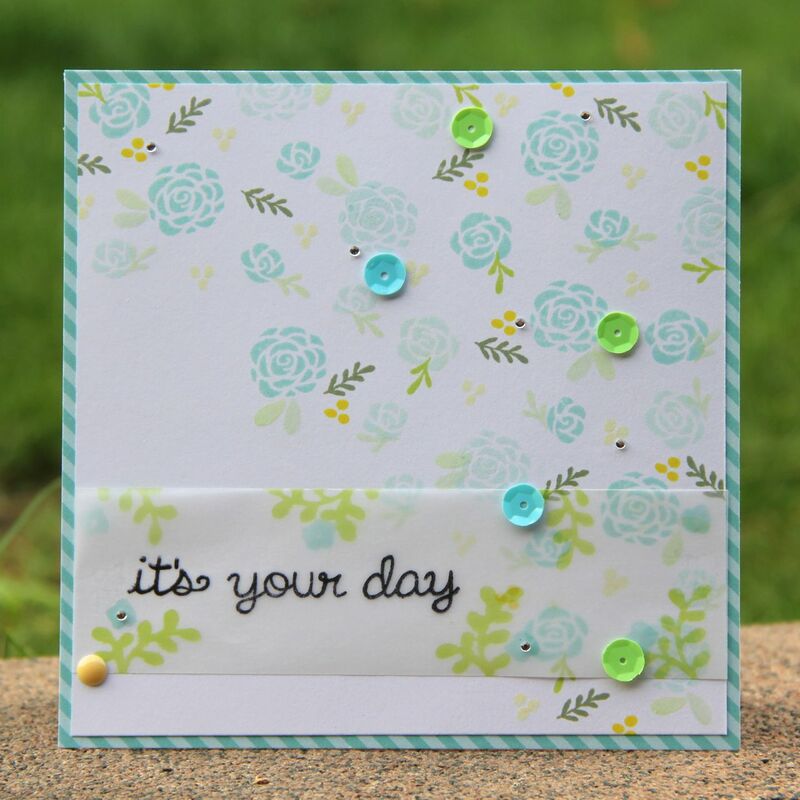 Sentiment is stamped onto vellum and I add some Studio Calico sequins and mini selfadhesive gems. Background paper is from Lawn Fawn. This entry was posted in Challenge and tagged cardmaking, Challenge, Hero Arts, Lawn fawn.